Cuba’s ambassador to the U.S. has weighed in on the controversy surrounding Alan Gross, a U.S. contractor currently serving a 15-year sentence in that island nation for illegally distributing satellite communications equipment. Following a phone interview with Gross by CNN’s Wolf Blitzer, Ambassador Jorge Bolaños Suárez repeated an offer to the U.S. government to sit down and discuss the Gross case as well as that of the Cuban Five. Media coverage of the Gross case gives an opening for action on the case of the Five, a group of Cuban agents whose work involved uncovering plots hatched by terrorist groups in Miami. They are serving extraordinarily long sentences in American maximum security prisons despite the fact that they were sent to Miami by Cuba to investigate right-wing terrorists who not only blew up a Cuban passenger plane but who continued after that incident to endanger the lives of Americans as well as Cubans. Blitzer’s interview earlier this month opened the door to an interesting and potentially productive exchange with representatives of the Cuban government, including Bolaños who heads the Cuban Interest Section in Washington D.C. and Josefina Vidal Fereira, director of the North America Bureau of the Cuban foreign ministry. In the CNN interview Gross demanded leave to interrupt his jail sentence to travel to the U.S. to visit his dying mother. He and his supporters assert that Cuba is being ungenerous and hypocritical because René Gonzalez, one of the “Cuban Five” prisoners in the United States, was allowed to visit his critically ill brother in Cuba earlier this year. But observers note there is no equivalency between Gross’s request to be released to visit his sick mother in the U.S. and Gonzalez’ visit to his brother in Cuba because it was not the U.S. government that made it possible for Gonzalez to go to Cuba to visit his brother. The State Department, in fact, had argued that he should not be allowed to go, and only relented when directly ordered to do so by a federal judge. Furthermore, at the time of his visit, René Gonzalez was already on supervised release, having served 12 years in prison and he is not permitted to return permanently to Cuba until his supervised status is over. An Associated Press investigation released in February shows that Gross was employed by Development Alternatives, Inc., a private contractor frequently used by the U.S. government to carry out international acts of skullduggery. Gross lied on his visa application for travel to Cuba and, knowing that he was breaking Cuban laws, tried to conceal his activities. The types of electronic equipment Gross brought into Cuba are not just items you can pick up at Radio Shack; rather, some are sophisticated devices used in espionage work designed to send messages without being detected by authorities. 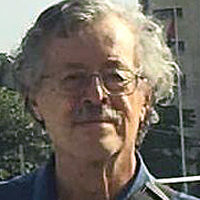 Gross and his supporters, including the U.S. State Department, claim that he went to Cuba merely to help Jewish congregations get Internet access and that he was arrested, prosecuted and sentenced for no reason. But those congregations themselves have countered that they have already had Internet access for quite a while without Gross’ help. Yet the desire of Gross and his family to see him freed and returned to the United States is understandable. The Gross case raises the issue of humanitarianism even though the U.S. government policy toward the Five and their families has been harsh – two of the wives have been denied visas and thus have been unable to visit their husbands for 13 years. The Cubans have been hinting for a long time that they would be willing to discuss freeing Gross as a humanitarian gesture, if the United States would consider freeing the Cuban 5 on the same basis. The United States has quietly carried out various prisoner exchanges in the past, either as an exchange of humanitarian gestures, or as a simple prisoner swap. 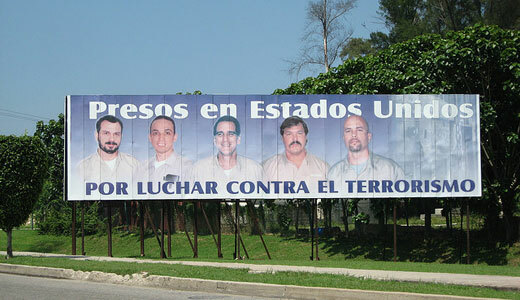 The Cuban 5 have done nothing against the interests of the United States and its people. Unlike Gross in Cuba, the five men were not promoting regime change at the behest of a foreign power. Rather, their assignment was to monitor ultra-right Cuban exile groups in South Florida. For years these groups have carried out terrorist acts against Cuba and Cuban diplomats at the cost of thousands of lives. The terrorist activities the five men were trying to prevent are illegal in the United States, of course. But shockingly, when the Cuban government shared information gathered by these agents with the FBI, rather than curtail the terrorist groups, it arrested the five. During the trial that followed the U.S. government secretly subsidized mass media in the Miami area who were covering the trial. The U.S. State Department, headed by Hilary Clinton, claims that Gross’s imprisonment is the main obstacle to improving U.S. – Cuban relations. Following that logic, simultaneous release of Gross and the remaining members of the Cuban Five could remove that obstacle. The fact that this issue has now been covered from both sides on much-watched CNN has put it in the public eye, giving supporters of freedom for the Cuban 5 a chance to raise concerns anew. Supporters of justice for the Five urge everyone to contact the State Department and the Justice Department to demand full freedom for all of the Cuban Five, and, by the way, for Alan Gross as part of a humanitarian arrangment. They also urge signatures on a petition.